Your vehicle’s engine is a vital component and maintaining the health of your engine is important to ensure a long life for your vehicle. 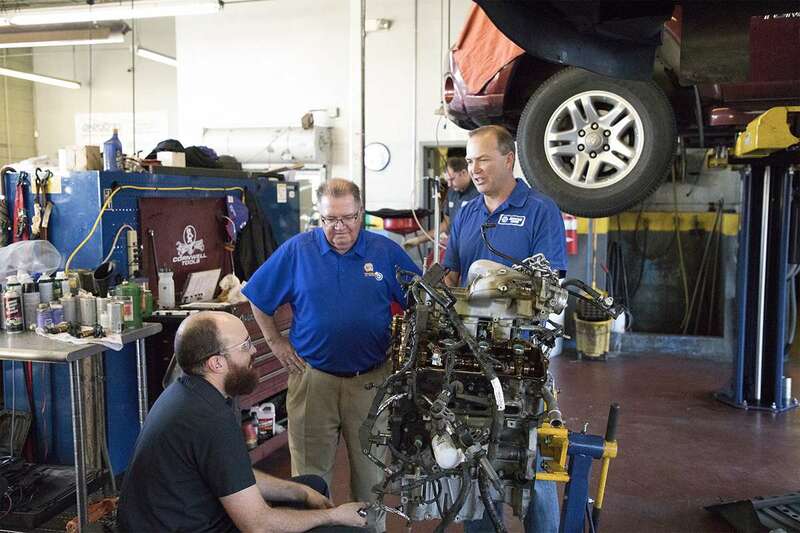 At Eagle Automotive Service in Littleton, CO, we are the experts when it comes to engine repairs and services. In order to avoid costly repairs down the road, our mechanics recommend that your engine is inspected once a year. Our ASE certified technicians will perform a visual inspection of your engine and run computer diagnostics to determine if any parts need to be repaired or replaced. Regular engine service is also beneficial to the performance of your vehicle. A serviced engine will allow your vehicle to perform in top condition and give you the best possible gas mileage for your vehicle. You’ll end up saving time and money in the long run when you properly maintain your vehicle’s engine. The maintenance required on your engine is determined by the make and model of your vehicle. Our expert mechanics will determine exactly what is needed for your vehicle and the correct service schedule to follow in order to maximize performance and ensure your safety on the road. If you are experiencing any of the issues above, bring your vehicle into the experts at our Littleton auto repair shop. We have the knowledge and expertise to repair and service engines on all makes and models of vehicles. Our shop has the latest, state-of-the-art computer diagnostic equipment to accurately diagnose and repair your vehicle. Our goal is to get you back on the road quickly and safely. If your vehicle is due for an engine service or repair, bring your vehicle to our experts at Eagle Automotive Service. We look forward to servicing your vehicle soon!